An East Cork Mystery – Pugin’s missing potato house in Dungourney. AWN Pugin in a letter to Viscount Midleton, (1845-48?). When an architect as celebrated as Augustus Welby Northmore Pugin tells you that he has put so much effort into designing a potato house in a farm complex, you’d think that the self same potato house, or farm complex, would appear on the National Inventory of Architectural Heritage, which officially lists all of our protected historic buildings. But Pugin’s Dungourney farm isn’t there. So we are left with a mystery. The only clue I have is that the farm was then ‘…now building….‘ near Dungourney, just a few miles north east of Midleton. You might think that Pugin (1812-1852) was too busy designing churches and houses of Parliaments for him to give any attention to a farm complex, but he already had form, having designed an ornamental farm on the Peper Harow estate in Surrey for the 5th Viscount Midleton between 1843 and 1845. 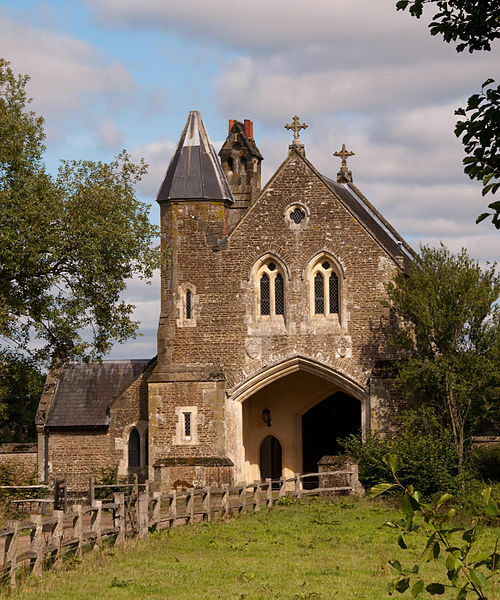 This was Oxenford Grange Farm which was once a grange of Waverley Abbey – so appropriately Pugin created a gothic revival farmyard, including gatehouse, barn and other farm buildings. The (British) Landmark Trust have renovated the gatehouse and rent it out for short stays. The Landmark Trust have also superbly restored Pugin’s home at The Grange in Ramsgate, Kent, for the same purpose. The former Midleton Arms Hotel was designed as two town houses by Pugin, with shops on the ground floor. The building is probably a few years older than its assumed completion date of 1851. 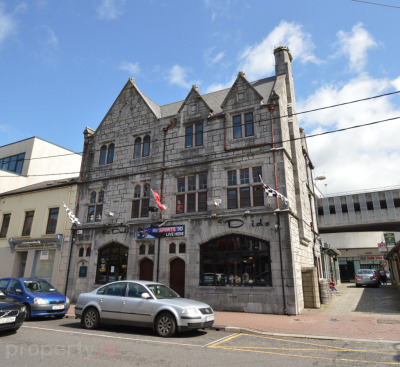 Midleton already has a building attributed to Pugin – two townhouses with shops on the ground floor built in a lovely understated late gothic or early Tudor style. The completion date for these is said to be 1851 – the year before Pugin’s death. But the houses may have been completed by the architect’s son, Edward Welby Pugin. However, I suspect that the pair of houses may actually be older – they were mentioned in 1845 as part of the improvements of the town by the landlord, George, 5th Viscount Midleton. It is likely that these houses were knocked into one structure as a hotel by the early 1850s. They certainly served as the Midleton Arms Hotel until the beginning of the 1980s. Sadly, to date, the structure hasn’t been researched properly. 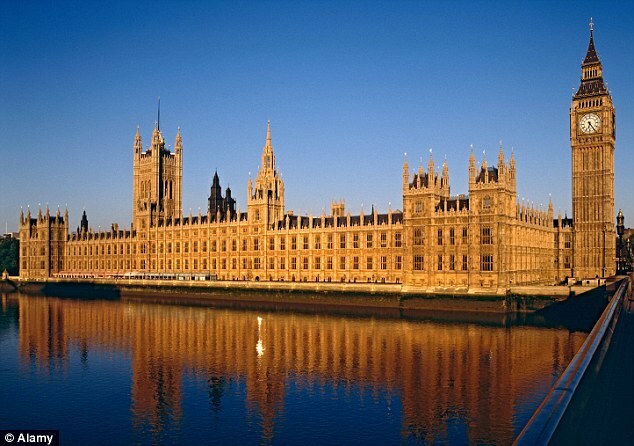 The largest work by Pugin was his decoration for the interior of the Palace of Westminster. Although the architect is usually stated to be Charles Barry, I suspect Pugin’s role was far greater than Barry ever admitted. Augustus Pugin was famous for being a strong champion of the gothic revival style of architecture, setting new standards in design. His most famous work was the interiors of the Palace of Westminster (Houses of Parliament) in London. Sadly the building was damaged by Luftwaffe bombing during the Second World War and some of his work was obliterated. The building is usually credited to Charles Barry but Barry was a classicist and he had to enlist Pugin to give the building a romantic gothic dress. The dramatic skyline is really by Pugin as is the clock tower commonly called ‘Big Ben,’ but now officially the Queen Elizabeth II Tower. Clearly not a pototo house! 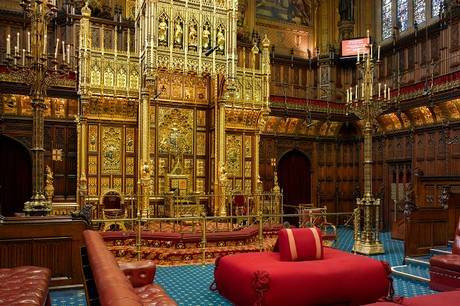 The reason Pugin went mad in February 1852 was a nervous breakdown caused by overwork on such items as the Throne in the House of Lords in Westminster. 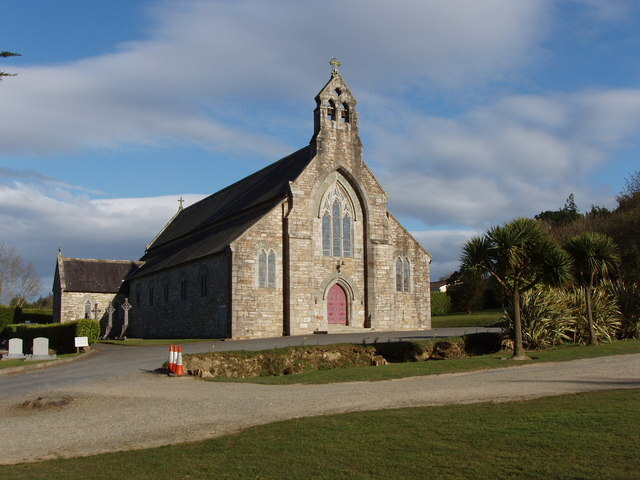 The other Midleton connection to Pugin is that his daughter Mary married a local lad from East Cork – George Coppinger Ashlin, who was born in Little Island. George’s older brother, John Coppinger Ashlin, lived in Castleredmond House, just yards from my present home. The road leading from Rocky Road to the Ballinacorra road was called Ashlin Road – but the by-pass built in the 1980s obliterated part of the route and the road had to be re-routed. Happily it kept the name Ashlin Road. George Coppinger Ashlin was himself a prolific architect, especially of Catholic churches, but his style was more varied than Pugin’s. Ashlin designed the Holy Rosary Catholic Church in Midleton as well as the Munster and Leinster Bank on Main Street – now the Allied Irish Bank. 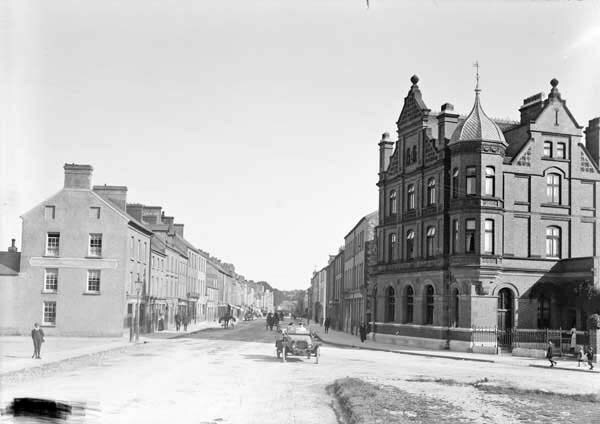 The red-brick Munster and Leinster Bank (on the right, now the Allied Irish Bank, was designed by Pugin’s son-in-law GC Ashlin in 1899. It still dominates the northern end of Midleton’s Main Street. This photo was taken a decade or two after the bank opened in 1901. My family connection with Pugin’s architecture goes back to my grandfather, Richard Harpur, who came from Barntown in County Wexford. The local Catholic church there was designed by Pugin an is still one of his best preserved buildings – St Alphonsus, Barntown. My grandfather worshipped in Pugin’s perfectly preserved St Alphonsus Church in Barntown, County Wexford. However, I’d really love to see the potato house that Pugin designed (during the Famine!) 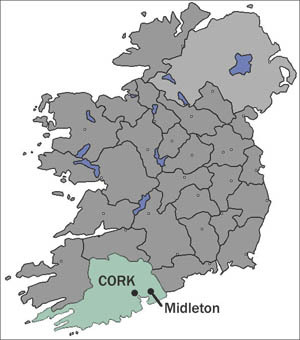 for Lord Midleton at Dungourney! Hopefully it hasn’t been demolished! 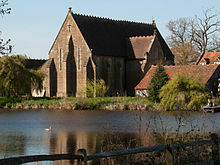 Pugin’s Dungourney farm complex needs to be listed for protection, so does anybody know where it is? Given what Pugin said to Lord Midleton about his designs, I really want to see that potato house! Source:- Margaret Belcher, editor: The Collected Letters of AWN Pugin. Vol 3, (1846-1848) Oxford University Press.2009.